We have to have zero tolerance. Any example of racism is one example too much, from the police or any other sector of Harvard University. Last spring a group of Harvard’s Black student organizations held an end-of-year field day on Radcliffe Quad. Students picnicked, played capture the flag, and ran relay races. A good time was had by all…until two Harvard Police officers drove up on motorcycles and asked whether or not this group of Black men and women was actually authorized to be on the Harvard campus. It turns out that a student in a nearby dorm had mistaken the Black students for tresspassers and contacted the campus police. This incident drew national publicity and strong criticism from Black students and faculty. According to the HUPD police log, the individual was found to be the owner of the bicycle and an affiliate of the university after questioning by officers. The person has since been identified as a black high school student from the Boston area working at Harvard for the summer. Faust wrote that an investigation into the interaction between the officers and the student has been launched. One source with knowledge of the situation said that “the conversation between the individual and the officers was laced with obscenities” and that the officers have been placed on administrative leave pending an investigation into how they handled the incident. 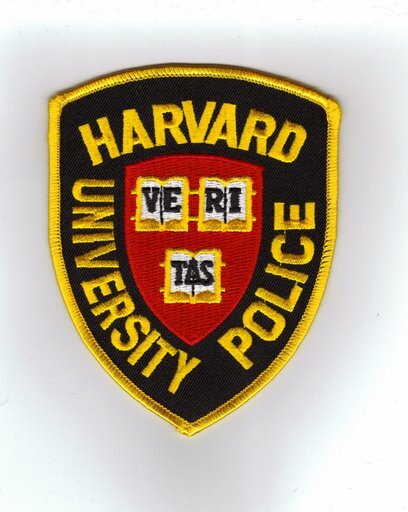 Partly in response to this incident, and partly in response to the demands of Black faculty, students, and staff, University President Drew Gilpin Faust has announced the formation of a committee to review Harvard U police practices. The committee will be led by Ralph C. Martin II, the former Suffolk County district attorney and currently a managing partner at the Boston law firm, Bingham McCutchen. The first Black student graduated from Harvard in 1870. Apparently, though, 138 years of Black students at Harvard has not yet been enough time to change the campus community’s perception that student = white. This problem is not unique to Harvard, but as the oldest university in the nation, Harvard is uniquely poised to act as a model for other institutions. I will follow this story with great interest and guarded optimism. Will this crap ever end? Unfortunately, racism on our college campus (and every where else apparently) continues to be alive, well, and rampant. It’s interesting to me how incidents like this (that underscore the continued existence of individual and institution racism) coexist with the belief by many that race should not be taken into account in college admissions processes. The continued racial profiling of Black students on their own campuses underscores the fact that racism continues to be an obstacle in African Americans’ attempt to access education.